Everything about the ENTR™ is smart. It’s compatible with any door and scalable to meet your locking needs. You get to decide how to access ENTR™ with a range of smart accessories. Open the door to a smarter home. What makes ENTR™ so smart? 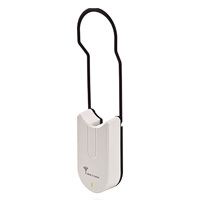 Creating a smart access control solution for your home or office couldn’t be easier. 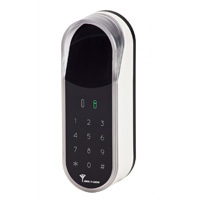 Create, duplicate amd use digital keys to open your door right from your smartphone, tablet or Bluetooth-enabled device. Its advanced design transforms your entrance and boosts security at all times with automatic locking. 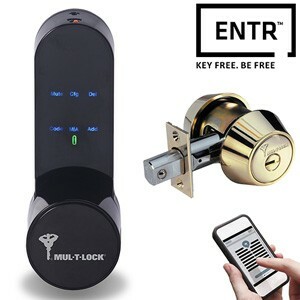 ENTR™ gives you convenient, keyless digital locking that’s easy to install, use, control and manage. ENTR™ doesn’t require any special preparation, wiring or drilling, it simply replaces your existing cylinder. ENTR™ takes home access control to another level with authorization management, a range of accessories to choose from and a powerful smartphone app that gives you extreme control. With ENTR™ you get the power of Mul-T-Lock’s world-renowned High Security patented platforms and technology. Our proven mechanical cylinders work together with secure, cutting-edge digital capabilities creating a powerful combination. It’s about protecting our environment. Everything about ENTR™ is energy efficient. from how we manufacture it to the reachargable battery that powers it. At the core of your smart lock, ENTR™ transforms the entrance to your home, working seamlessly with the accessories of your choice. No one can copy or steal it. 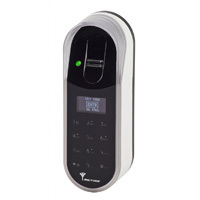 It’s unique, it’s your fingerprint and now you can use it as the safest key there is with ENTR™’s Fingerprint Reader. 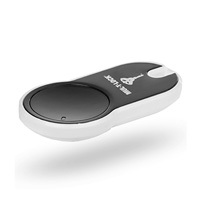 You won’t need to carry a key, worry if you have it or if its been stolen.The ENTR™ Touchpad Reader supports up to 20 different codes that can be easily programmed. ENTR™ Remote Control will have you inside, safe and secure, with one press of a button. ENTR™ was designed with the environment in mind. It’s sustainable, rechargable batteries powers up the system in just 4 hours. Please visit entrlock.com for more information. Requires standard deadbolt door preparation.